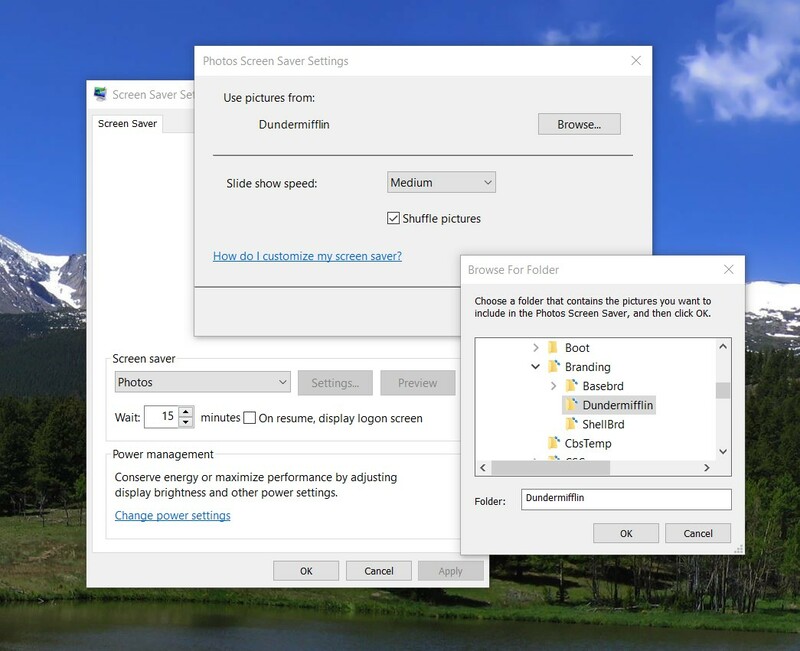 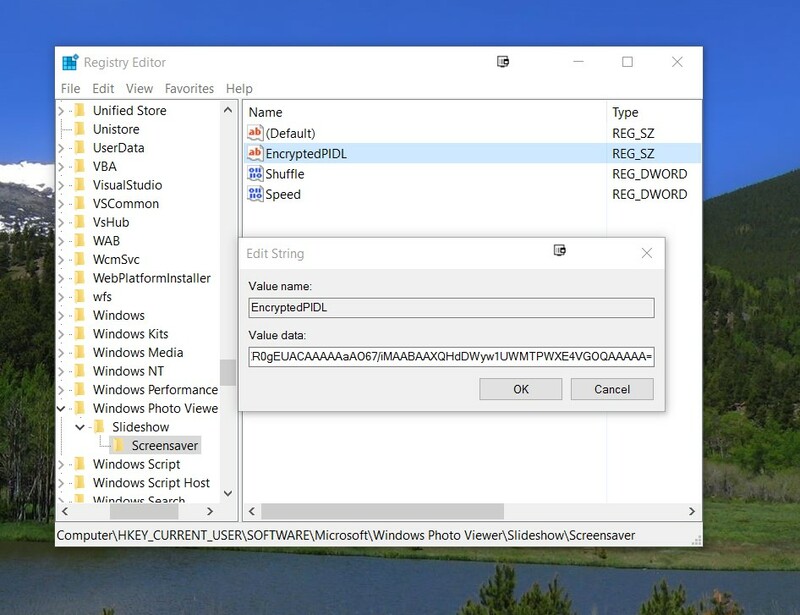 1) On reference computer, configure the default Photo screensaver including location. 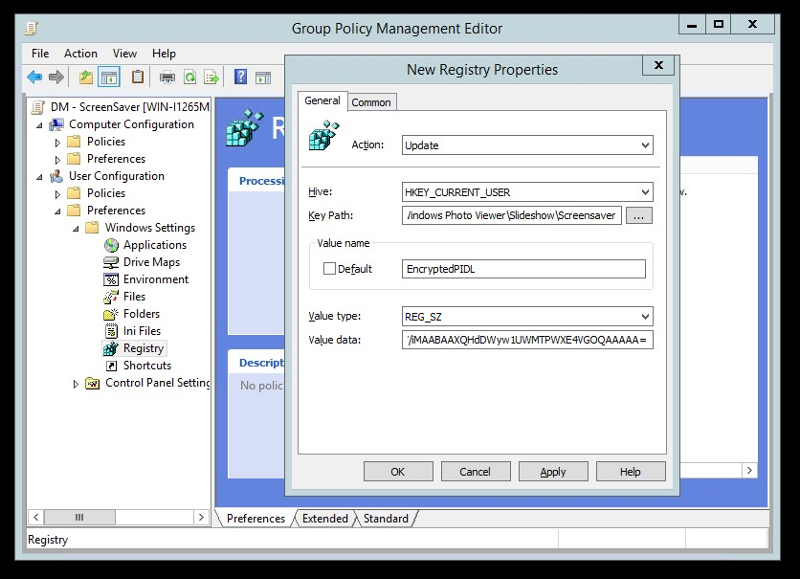 This is done because this value is stores as an encrypted value within the Registry. 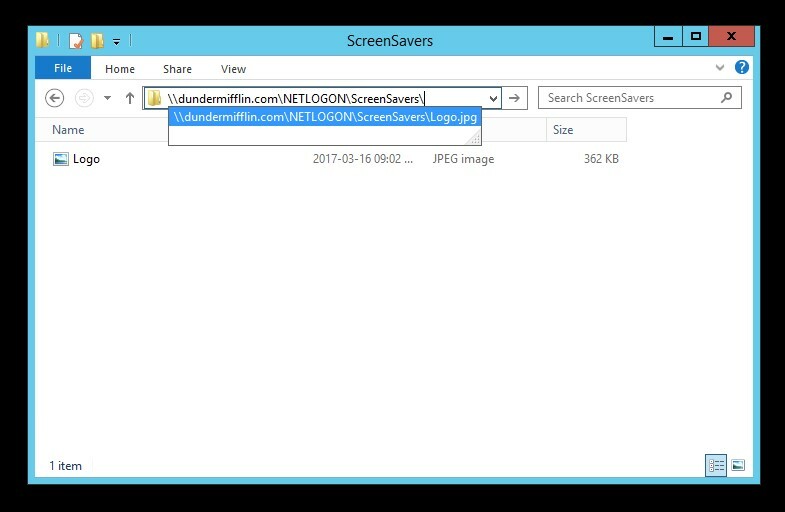 In the article C:\Winstoredranding\Dundermifflin is used. 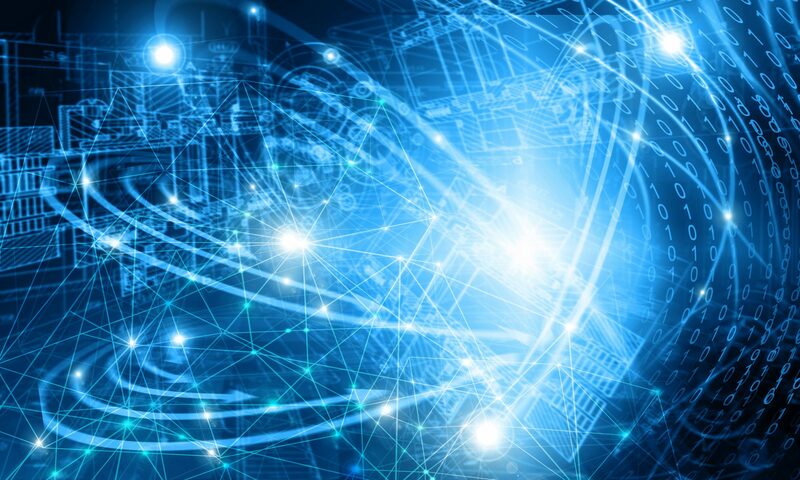 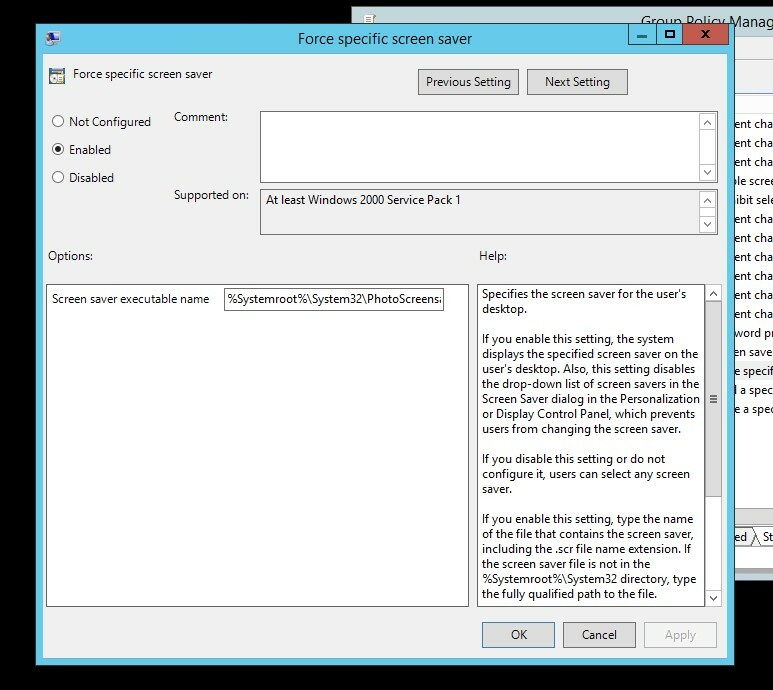 Source File(s) should be the network location used in Step 3. 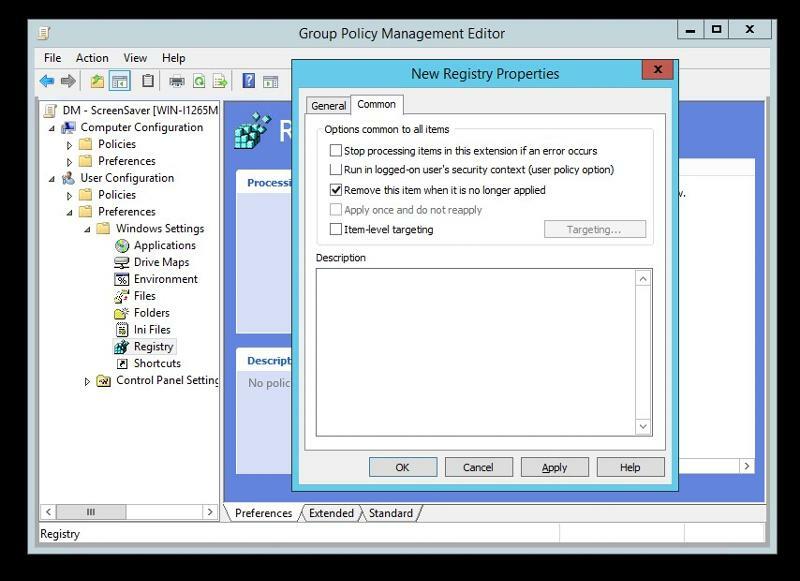 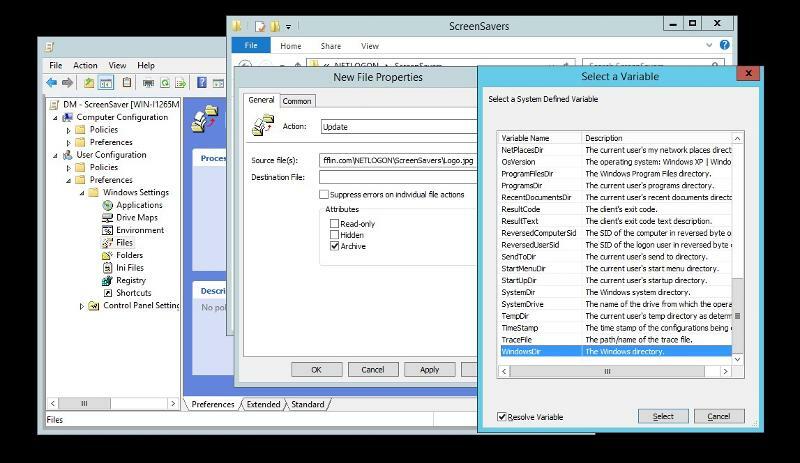 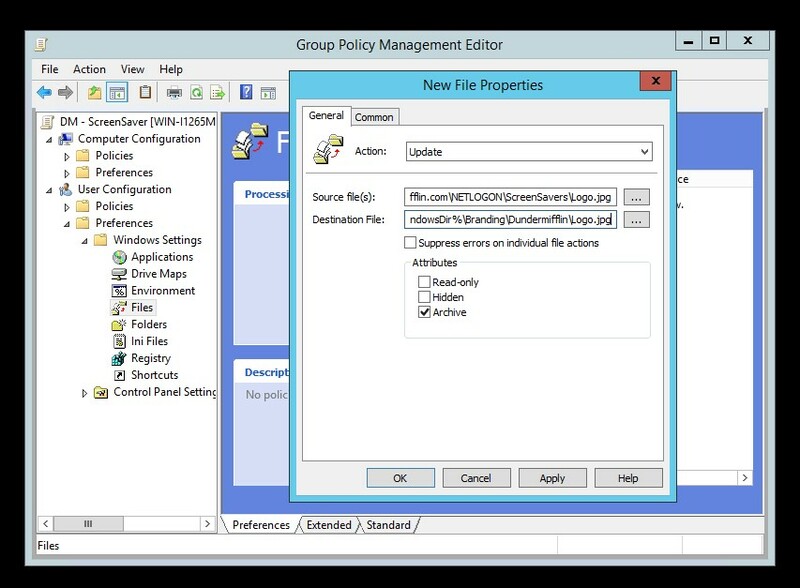 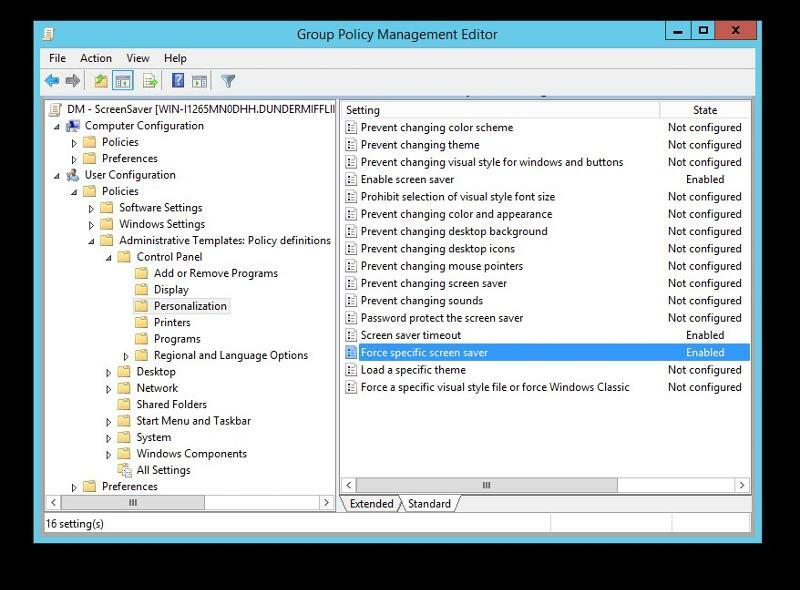 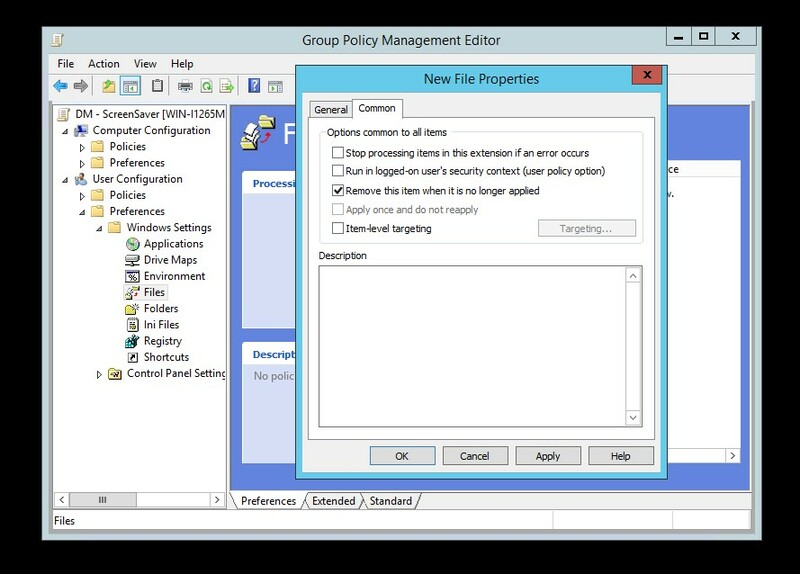 9) Configure the rest of the policy as per norm for screensaver.